Do you want to attract new customers and to stand out among competitors in Ukraine? The best decision for you is an exhibition, where visitors – it’s your future clients. They will come to visit you, and within a cozy booth you can tell about the benefits of your company’s products. 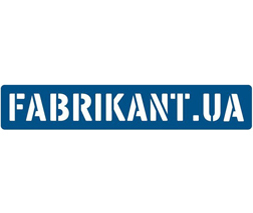 If in doubt, ask the company FABRIKANT.UA, which for three months took part in exhibitions in different fields, significantly increasing its customer base and expanding the circle of business contacts. Event-agency PUSH-K Solutions, and after such project it may be called the The organization of participation in exhibitions Agency, picked up autumn top expo events, created dozens of plans and schemes to install the stand on the most passable place, produced a unique video content and exhibition props, provided with the responsible promotion staff and much more. Organization of participation in exhibitions was performed on a turnkeybasis, and all that left to the customer was to come with a laptop and focus on communicating with potential clients. If you are planning to take part in the exhibition and expo series of events, the experience of event agency PUSH-K Solutions specialists comes in handy! Apply!